Volvo Cars is surging ahead in engine technologies in the downsized 2-liter, four-cylinder category for its premium cars. While the company is already using turbocharged and supercharged T6 and T8 Twin Engine (plug-in-hybrid) petrol motors, the latest diesel-based PowerPulse Technology claims to literally eliminate the turbo lag once and for all! The PowerPulse system uses a reservoir of compressed-air to help create instant spool-up in the turbo charger. 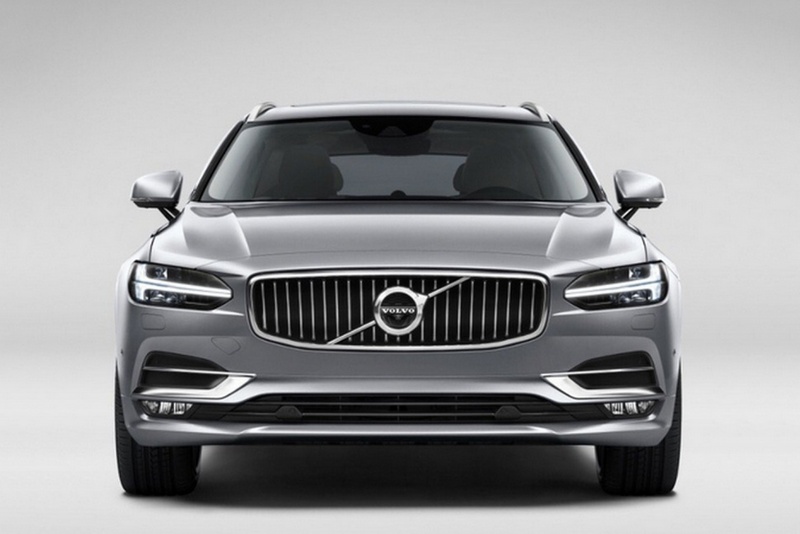 The technology will debut on the upcoming all-new S90 sedan and XC90 SUV. As we all know, turbo lag in diesel motors is persistent problem, especially in smaller-capacity, highly-boosted engines powering larger (or heavier) cars. This partly prevents car makers to go for downsized engine in their large and premium cars that are meant for high performance. Using Twincharger systems consisting of exhaust-driven turbocharger and an engine-driven supercharger helps the situation a lot, companies are also trying various other means to overcome this shortfall. Audi, for instance, is using Electric-powered compressor (EPC) technology in its latest Audi SQ7 TDI to completely reduce the turbo lag. 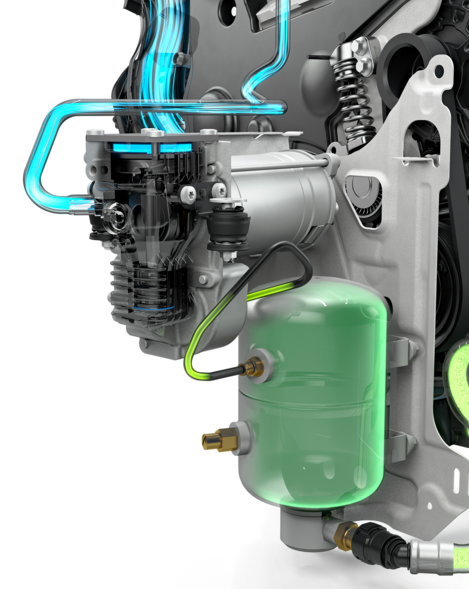 Volvo has recently revealed its new PowerPulse Technology that precisely addresses this issue of turbo lab in in its latest range of advanced 2.0-litre D5 diesel engines. Developed in-house with the help of expertise from Austrian-based automotive engineering firm AVL, the PowerPulse system consists of an electrically driven compressor that takes fresh air through the air filter, compresses it and stores it in a high-pressure tank. On rapid acceleration, air is released into the exhaust manifold to feed the turbo and create instant spool-up, thereby improving the throttle response in the way that the supercharger does on the T6 petrol engine. The 1.7-liter compressed-air tank is then topped up automatically, ready for the next deployment. Both the pressure tank and the electric compressor are ahead of the front-right wheel, while the control logic for the system is incorporated into the engine’s ECU. The system uses components like valves and compressor akin to those used for air suspension. Thanks to the PowerPulse system along with other minor upgrades, the 2016-spec D5 1,969cc engine pumps out a maximum power of 235 PS at 4,000rpm, with a peak torque of 480 Nm between 1,750 and 2,250 rpm. Although the PowerPulse technology is expensive and therefore confined to more upscale models at present, we can expect that the technology may trickle down the range to lower model ranges. Systems safety and reliability will also be improved in the days to come, while also reducing its weight and costs. Next, would you like to read more on Volvo, S90, XC90, or Technology ? ?